Physical therapy is a healthcare profession concerned with prevention, treatment and management of movement disorders arising from condition and diseases occurring throughout the lifespan. A physical therapist provide services for patients/clients who have a medical or health related condition that limits physical function in their daily lives. This could be form and accident, illness, or injury, physical condition before or after surgery, or form a progressive medical condition. A physical therapist undertakes a comprehensive examination / assessment / evaluation of the patient/client to identify physical impairments and functional limitation in order to develop a plan of care to improve ability to move , reduce pain, and prevent disability. A physical therapist educates the patient/client on their condition as well as the plan of achieve freedom from pain, independent living, and an understanding of how to prevent re-injury. 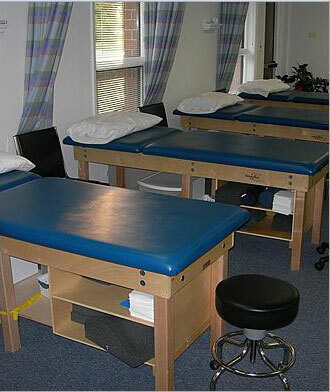 A physical therapist will utilized procedures such as therapeutic exercise, functional training, manual therapy techniques, therapeutic modalities (Ice, heat, ultrasound, electric stimulation) to improve physical condition and progress toward achievement of the patient/client goal. We at Endurance Rehabilitation and Wellness Center, PC, pride ourselves on being true advocates for our patients/clients and their needs. We take care a direct and personal approach in meeting your individual goals whether it is to walk independently, return to work, or improve health and fitness in a friendly and caring environment. You can be assured that at Endurance Rehabilitation and Wellness Center, PC you will be receiving the highest level of care from skilled and experienced therapists. We pride ourselves on the quality-hands on treatment we provide our patients. A comprehensive initial evaluation will be performed where you will have an opportunity to tell us what you are feeling what functional limitations you are experiencing. We will perform an examination and take measurements. This evaluation and assessment will be forwarded to any other healthcare professionals involved in your care. From this initial evaluation an individualized treatment program and plan of care will be developed targeting your goals. Re-evaluations will be performed on a regular basis to determine need for continued skilled PT intervention and to adjust your treatment program if necessary. You and your family will be educated on your diagnosis, treatment program, exercise program for home, any precautions/contraindications related to your condition and any durable medical equipment which may be appropriate to assist with ambulation or activities of daily living. When you have completed your program at Endurance Rehabilitation and Wellness Center, PC, you will be educated on exercises that you will be able to perform independently upon discharge. All evaluations and progress notes will be forwarded to the healthcare professionals directly involved in your care. We will maintain open communication with you and your healthcare professionals to ensure that your personal goals are being met.